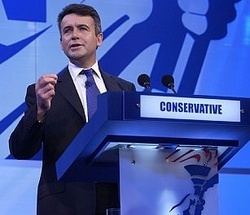 Bernard Jenkin, Deputy Tory Chairman for candidates, answers your questions. Anonymous: "As more men have applied to the Priority List than women, it is therefore harder for men to get onto the List because of the pre-set gender quota of 50% men, 50% women. Do you believe the Conservatives are sexually discriminating against male applicants, and if so, do you believe this is right?" BJ: “One of our top priorities is to encourage more women to stand so that we get more women MPs. We need to create a party that can better represent modern Britain and therefore operate more effectively in Opposition and ultimately in Government. It needs to be more diverse and outward looking if we are to achieve this. The fact is that women made up some 25 per cent of the list at the last election, but only made up 12 per cent of the new intake. These measures are to correct this lack of balance and are therefore politically and morally right. Forgive me for labouring the key point. We are simply not doing our job as a political party while over 90 per cent of our Parliamentary representation is male. Do we men think this represents a 90 per cent monopoly of the talent? More than half the population is female. Shane on Andrew Gimson interviews Owen Paterson, who says of the EU: "My view is very clear. I’d like to make laws in our own Parliament."